We offer free ground shipping for orders over $250 anywhere within the United States. Orders under $250 will be charged $5 for ground shipping. Washington state residents will pay sales tax with their orders. Orders shipping to all other states pay no sales tax, subject to change depending on new regulations. Please see the map below for delivery time estimates. These times are estimates only, they are not guaranteed delivery times. Overnight shipping costs $55 for orders totaling $610 or less. For orders between $610 and $1400 it costs $70. For orders over $1400 it costs $95. Two-Day shipping costs $40 for orders totaling $610 or less. For orders between $610 and $1400 it costs $50. For orders over $1400 it costs $70. Because we have dealers in the following countries, we do not ship to ANY European country, or to Chile, China, Hong Kong, Japan, Korea and Taiwan. 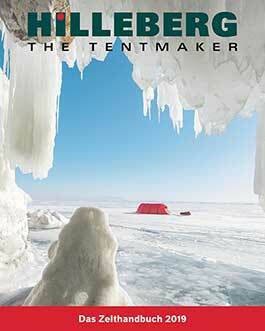 Please see your nearest authorized Hilleberg dealer. Please contact us if you wish to order from Ecuador, Indonesia, Singapore, or Malaysia. $25 for orders totaling $50 or less. For orders over $50, but less than $610, it costs $45. For orders over $610, but less than $1400, shipping costs $65. For orders over $1400 shipping costs $85. Note: You will be charged customs when your tent arrives. $35 for orders totaling $50 or less. For orders over $50, but less than $610, it costs $70. For orders over $610, but less than $1400, shipping costs $85. For orders over $1400 shipping costs $110. Note: You will be charged duty and any additional taxes when your tent arrives. Please contact us for international shipping time estimates.